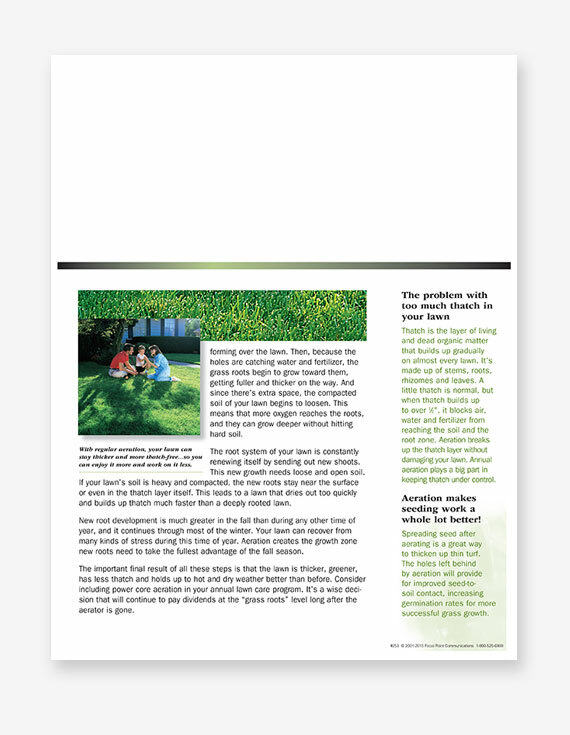 Use this bulletin to promote aeration as one of the best things you can do for your customers’ and prospects’ lawns. It’s a great way show them why this valuable service is such a “breath of fresh air” for their turf. Hover over the price chart to see your discounted pricing. Available in packs of 100. Both sides printed in full color. Mix-and-save titles for best quantity pricing. Ready for imprinting on your laser printer. Paper and inks are laser compatible. Price includes shipping to one U.S. location in the continental 48 states for orders over $150. Upon receiving your order, we will e-mail you an order acknowledgement. 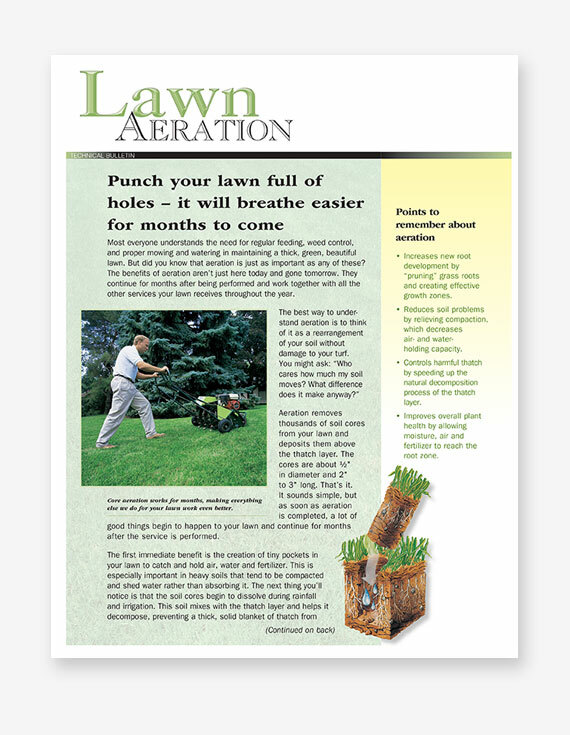 We will ship your bulletins within one business day of receiving your order. Upon shipping, we will send you an e-mail with a UPS tracking number. Does this product need text & logo from the customer?